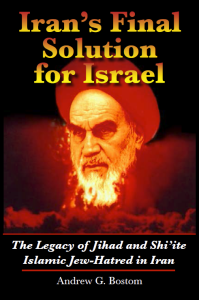 A review of Andrew Bostom’s Iran’s Final Solution for Israel: The Legacy of Islamic Jihad and Shi’ite Islamic Jew-Hatred in Iran. Dr. Andrew Bostom closes the preface to his new volume, Iran’s Final Solution for Israel: The Legacy of Islamic Jihad and Shi’ite Islamic Jew-Hatred in Iran, with several rhetorical questions, answered encyclopedically in the chapters that follow. Only the near-universal ignorance on Islam could explain why the Western press corps and leaders of the so-called “P5 +1” nations — the five permanent members of the United Nations Security Council plus Iran — all naïvely lauded the late November 2013 news of an interim agreement to eliminate Iran’s ability to produce nuclear weapons, and blindly accepted the notion that the deal would halt Iran’s future military goals. Actually, the opposite happened. The P5 leaders, hopeful that a written agreement could put Iran’s nuclear ambitions to rest, were all-too-easily duped by Iran. In February 1979, he notes, the New York Times published an op-ed by Princeton international law professor Richard Falk entitled “Trusting Khomeini.” This is representative of the “parlous denial — born of willful doctrinal and historical negationism” that continues to shape U.S. policy on Iran today. Clearly, however, we should no more trust Khamenei today than we should have trusted Rehollah Khomeini in 1979. Moreover, we should dispose at once of the fanciful notion that any otherwise unidentified form of Shiism represents a more mainstream and tolerant Islamic ethos. If anything, Cold War study should warn us against falling into such facile ideological traps. We need today, one concludes from Bostom’s frank discussion of current Iran policy, a leader or leaders with a similar clear-eyed view of the totalitarian concepts and philosophy underpinning both Shiite Islam and Iranian government thinking. Indeed, Bostom notes that Communist apostate Whittaker Chambers in 1947 had compared the “violently avowed” ideas of adherents to 20th century secular totalitarianism, namely communism, a fanatical fervor unseen since the advent of Islam. Chambers and Rodinson were not alone in their view, moreover. It was shared by a wide range of intellectuals, like atheist philosopher Bertrand Russell, devout Catholic thinker G.K. Chesterton, French sociologist Jules Monnerot, and doyen of Islam Bernard Lewis, and also Pakistani Muslim thinker Sayyid Abul Ala Mawdudi, a disciple of Muslim Brotherhood founder Hasan al-Banna. To wit, Bostom devotes his book to answering questions ever more urgent with every passing day. The encouragement to lie, of course, becomes particularly relevant in recent Iranian history, given official Iranian references to the Treaty of Hudaybiyyah — a 7th century agreement of Muhammed with the pagan Meccan Quraysh tribe so that the former could gain strength and ultimately defeat his enemies. In an interview that aired Dec. 11, 2013, former Iranian regime adviser Mohammad Sadeq al-Hosseini effectively admitted the much-heralded November agreement to be a sham. “This is the Treaty of Hudaybiyyah in Geneva, and it will be followed by a ‘conquest of Mecca’,” he said. 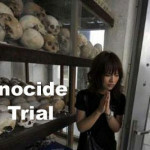 Generally speaking, Islamic jurists never recognize a treaty covering a period of more than 10 years, and often substantially less, for sharia has long since established that Muslims may use treaties merely to establish a temporary truce. In other words, no territory shall see permanent “peace” until Islamic law governs there completely. Permanent peace, from an Islamic perspective, is strictly a Western concept that, outside any Islamic realm, represents a total contradiction in terms. 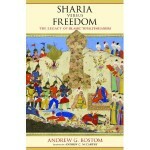 Of course the book also discusses the Islamic institutions established under sharia, including the perennial institution of jihad that commands Muslims to relentlessly spread Islam, through all available means, until it subsumes all other faiths and beliefs and extinguishes all other cultures and ways of life. Most useful are sacred texts Bostom provides, Islamic judicial statements and records of specific historical events, both current and long past, showing that enforcement of strict sharia is as critical to Shiite Islam now as it was throughout Islamic history and within all four schools of Sunni Islam. Shiites regard the monumental 20-volume Koranic commentary of Muhammad Husayn Tabatabai (d. 1981), for example, as the most important 20th century interpretation. Tabatabai “represents that central and intellectually dominating class of Shi’ite ulama … who represent a more universal interpretation of the Shi’ite point of view,” according to philosopher and translator Seyyed Hossein Nasr. It is obligatory to call them [non-Muslims] to the right path before the war. If they … reject it then there is no Master except Allah. … fighting is prescribed so that the religion be only for Allah. [It] is in reality disbelief as Allah says that they do not believe in Allah. … But Islam is content with their mere profession of monotheism. Fighting with them was ordained not to make them believe in monotheism but simply so that they might pay tribute to Muslims, thus raising the true creed above their creed and making Islam victorious over all religions. Then there is Grand Ayatollah Ali al-Husseini Sistani (b. 1930), another “quietist reformist.” He was hailed in March 2005 by New York Times pundit Thomas Friedman as worthy of nomination for a Nobel peace prize, and was also commended by several conservative analysts. Yet the ostensibly peaceful Shiite cleric Sistani refused to meet with U.S. diplomat and civilian administrator L. Paul Bremer, overseer of reconstruction in post-war Iraq. Such mainstream Shiite Islamic beliefs, held in the 20th century, reflect Shiite history too. But the questions raised here are in no way trivial. Until American policymakers and the public learn these facts and answer accordingly, with appropriate actions, the world exists in an increasingly dangerous game with deadly stakes of massive proportions. The clock is ticking, with the potential for a nuclear doomsday.